James Miles is a certified teacher of Transcendental Meditation™ (TM), as founded by Maharishi Mahesh Yogi®. TM is available in the UK only from Maharishi Foundation®, registered educational charity number 270157. (Please note that no other organisation in the UK offers courses in Transcendental Meditation, as taught by Maharishi Mahesh Yogi). Transcendental Meditation is a very simple, natural and effortless technique, which is done twice a day, morning and evening, sitting comfortably with the eyes closed, for 20 mins. The mind without any effort, concentration or control, naturally settles down to its most settled state of awareness, pure consciousness, the mind simply experiencing itself. This is wholly fulfilling to the mind and one springs back to activity with more clarity of thought, more ease in oneself, more effective and efficient in daily life and very much more happier and peaceful within. Deep rest is established in TM, removing the stresses and strains that have accumulated over time in the system, thus revitalising and rejuvenating mind and body. Over 400 peer reviewed scientific research studies have been conducted on TM over the last 40 years, validating its effectiveness. James learnt TM over 5 years ago while doing his Chemistry Masters degree at Bristol University. He experienced very profound benefits to life very quickly and therefore new he must become a teacher. He now runs the NW London TM centre and will also be embarking on his PhD next year, to research TM in the field epigenetics. 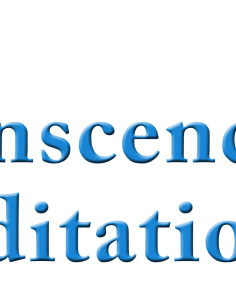 There are seven steps to learning Transcendental Meditation. The first port of call is to attend a free hour long introductory talk about it and you can ask all your questions (steps 2 and 3 are included in this, filling out a form etc). Steps 4-7 are actually learning TM and are done over 4 consecutive days, lasting about 1hr 30 mins each. If you have any questions, please contact James using the 'contact host' button on the website page.